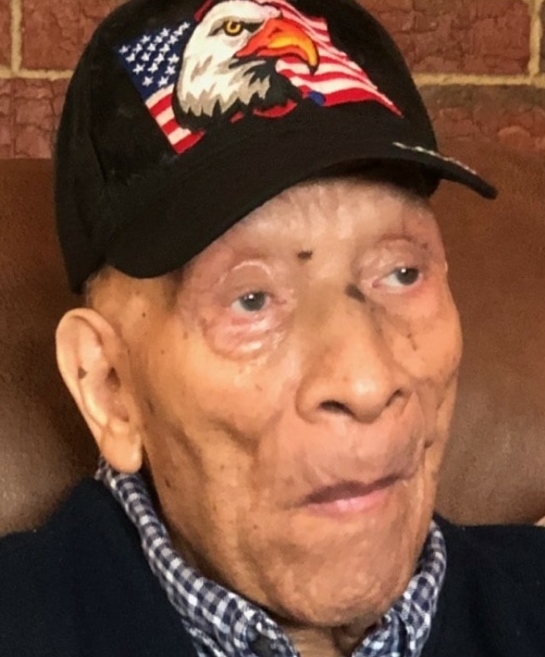 Mr. Sherman Lea Jr., age 100, of 27 Delta Drive, Roxboro, North Carolina, departed this life on January 24, 2019 at Person Memorial Hospital. He was a native of Person County and a World War II Veteran. Mr. Sherman Lea Jr. was preceded in death by his wife Lucy Villines Lea; parents, Sherman Sr. and Mollie Harris Lea; six brothers and five sisters. He is survived by one niece Joyce Lea Sanders and one nephew-in-law Patrick H. Sanders of Roxboro, North Carolina; one niece-in-law Bessie Jay Lee of Roxboro, North Carolina; three great nieces Helen Lee Johnson (husband Willie) of Roxboro, North Carolina, Paula Anita Lee of Timberlake, North Carolina and Gloria Singleton of Palm Coast, Florida; six great nephews Austin R. Lee, Jr. of Roxboro, North Carolina; Patrick Todd Lee of St. Petersburg, Florida; Ricky Lee and Kenneth Lee, both of Roxboro, North Carolina; Alex Lee of Washington, DC; and Donald Lee of Burlington, North Carolina; three great-great nieces Lillian F. Johnson, Taylor O. Lee, and Paige A. Lee; and one great-great nephew Jerrick Richmond.